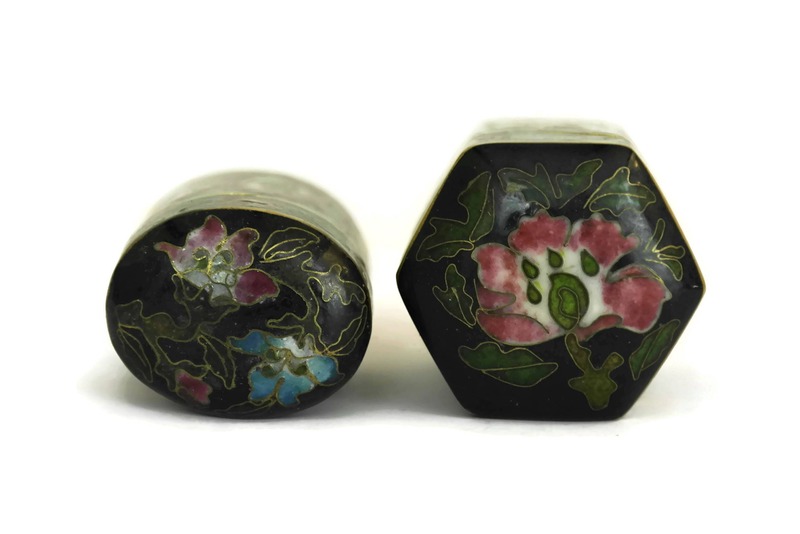 Vintage cloisonne Pill Boxes. 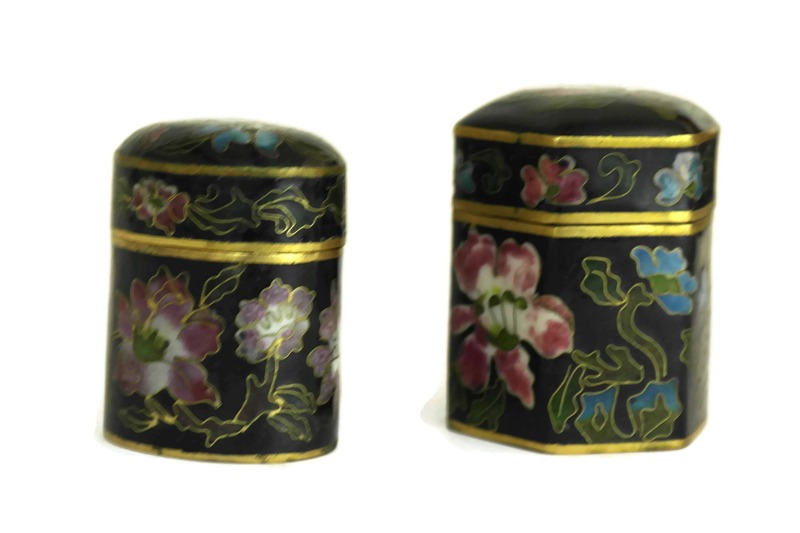 Chinese Enamel Trinket Box. 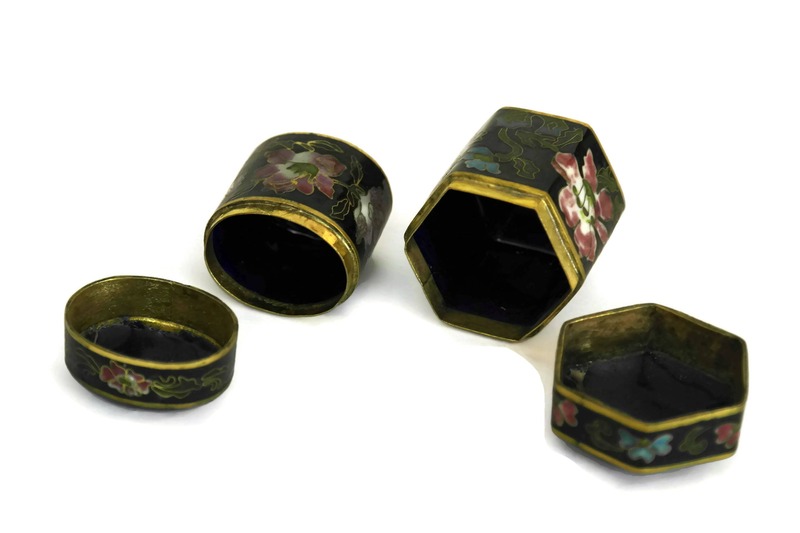 Small Ring Boxes. Asian Art Home Decor. 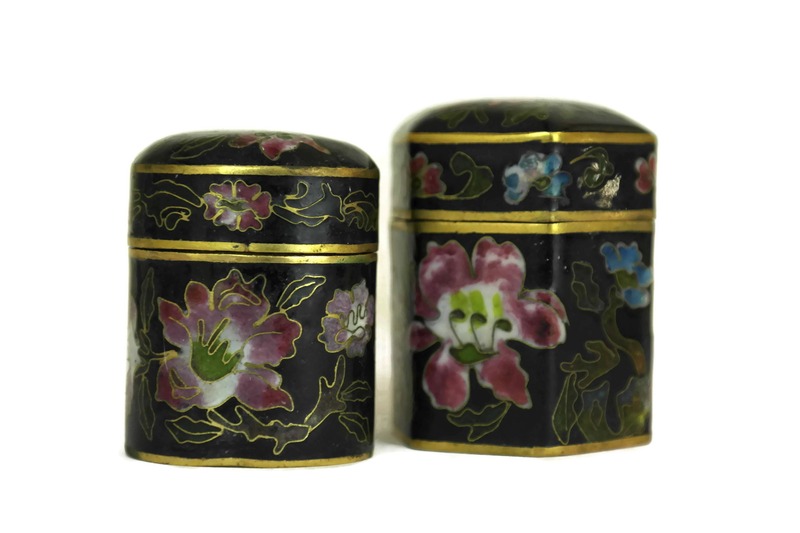 A lovely pair of vintage cloisonne pill boxes dating to the 1960s. They have been created from brass and hand decorated in rich shades of enamel. 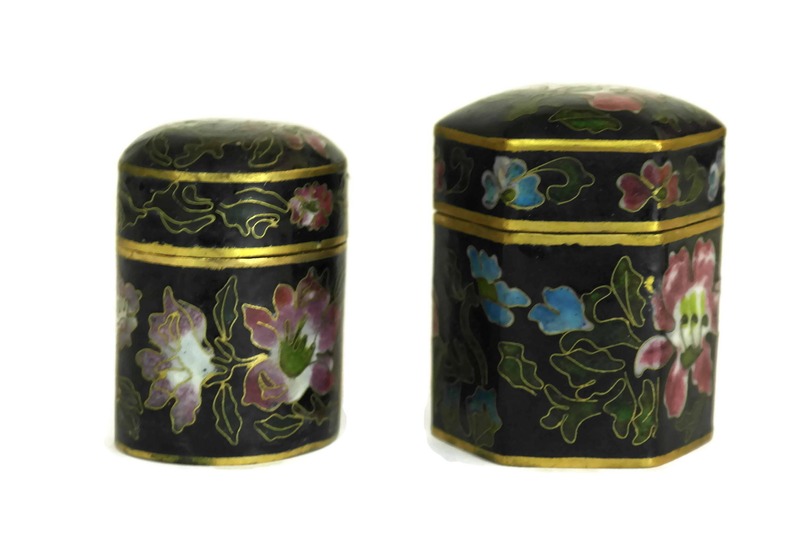 The boxes feature traditional Asian flower design in shades of pink and blue against a black background. 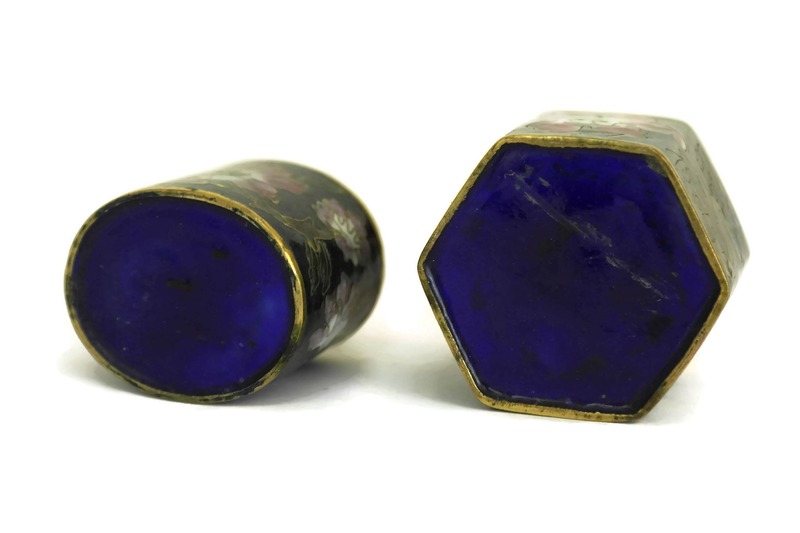 The interior and the base of the boxes are a deep shade of cobalt blue enamel. 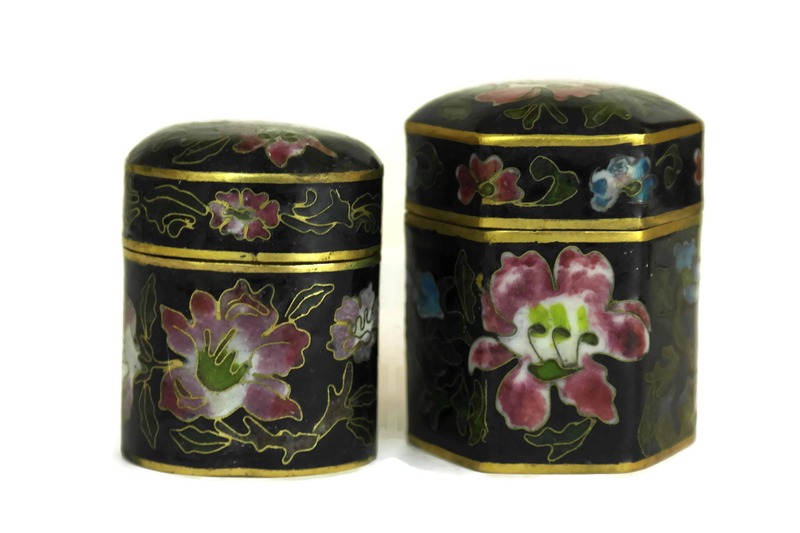 The pair will make a great addition to your Asian Art Home Decor. 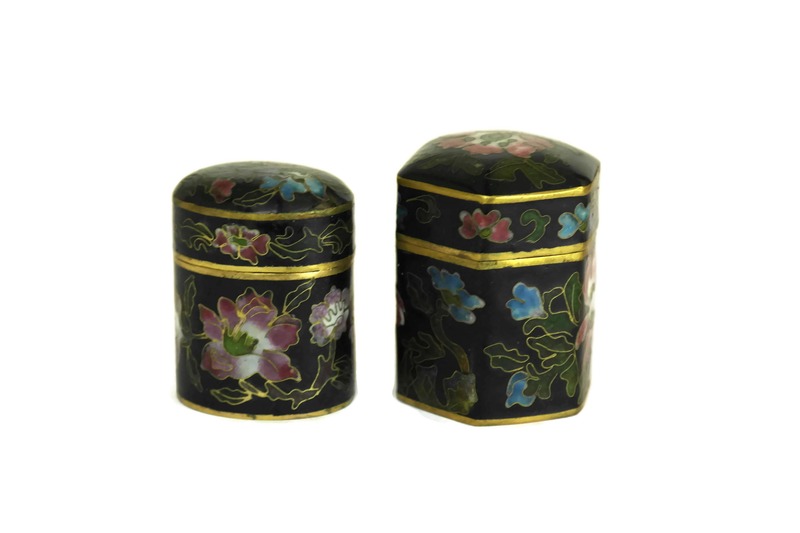 The largest cloisonne box is 2" Tall and 1 1/2" Wide (5 cm x 4 cm). 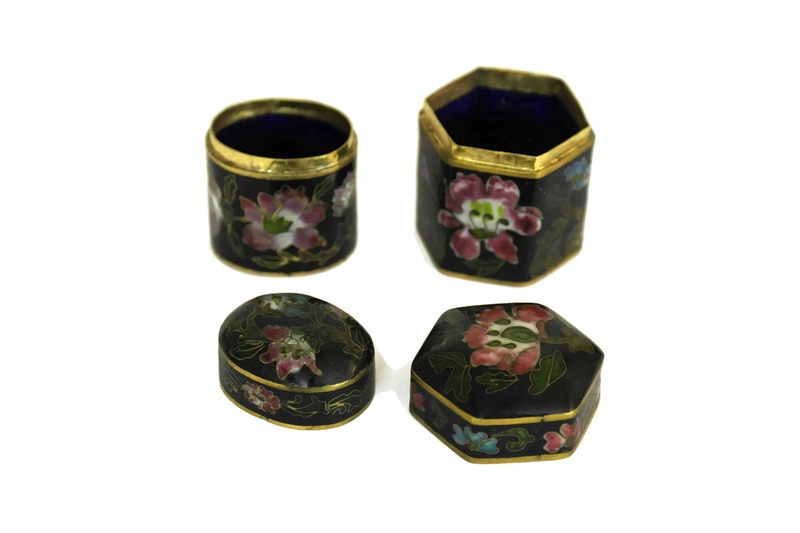 The smallest cloisonne box is 1 3/4" Tall and 1 1/2" Wide (4,5 cm x 4 cm). 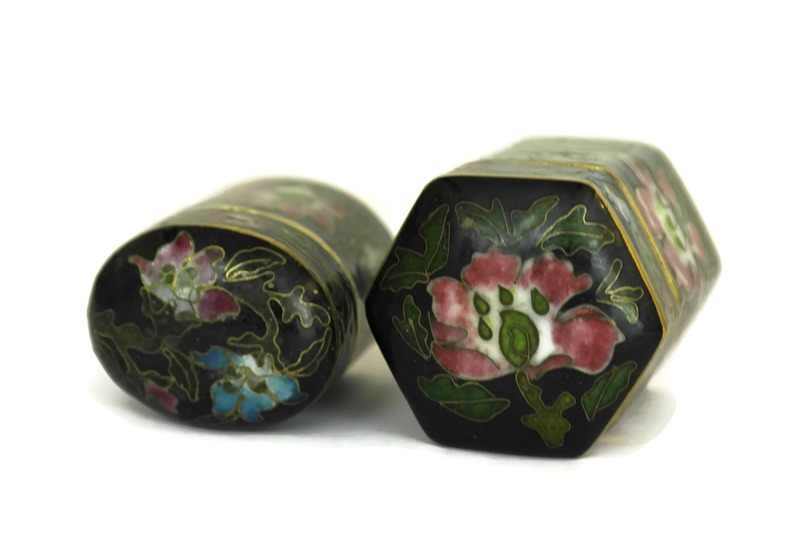 The pair of cloisonne ring boxes are in very good condition with patina to the surface.